Situated along Grange Road is City Development Ltd’s Gramercy Park condo in the prime District 10 of Singapore. A 5,533 sq ft 2-storey penthouse unit has been picked up by a Cambodian buyer for a whopping $17 million (or $3,073 psf). Gramercy Park was completed back in 2016 and comprises of only 4 penthouses in the entire residential development – with 2 units of 5,533 sq ft and another 2 units of 7,287 sq ft.
Each penthouse comes with 2 levels, 5 bedrooms in total and its very own private swimming pool. Earlier in 2017, City Development Ltd (CDL) have managed to sell the other 5,533 sq ft penthouse at Gramercy Park condo for $16.88 million. The buyer is believed to be a Chinese national who runs an IT company in Singapore. According to CDL, the remaining 2 penthouses are each priced at more than $23 million (or $3,156 psf). To date, developer CDL has managed to offload a total of 67% of its units at Gramercy Park, out of the 174 units available. Other than the 4 penthouses, the luxury condo comprises of other unit types as well – such as 2-bedroom plus study, 3-bedroom, and 4-bedroom. When the North Tower at Gramercy Park was released for sale back in May 2016, the average psf was around $2,600 and was eventually raised to $2,800 psf. The South Tower was released for sale earlier in March this year and the latest transacted unit was a typical residential 3-bedroom apartment (1,948 sq ft) situated on the 5th floor at $5.3 million (or $2,724 psf). It was noted that CDL has till May 2018 to complete selling all their remaining units at Gramercy Park, in order to avoid incurring extension charges which will be payable to the government – stipulated under the Qualifying Certificate (QC) ruling. 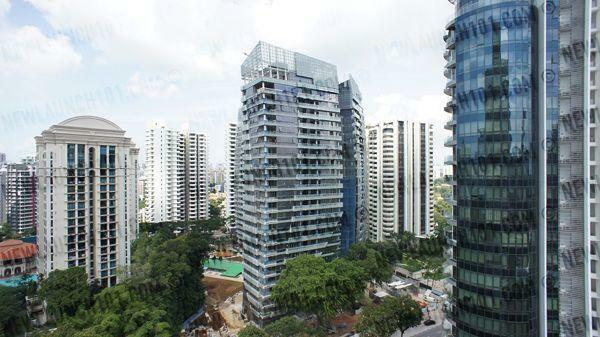 With the recent sales pickup in the luxury property segment in Singapore, it remains to be seen if CDL can keep up with the consistent sales at Gramcery Park.